It was PACKED. I dislike crowds. But it is gorgeous and interesting. Peddlars hawk all different sorts of wares: my favorite was a kind of glass artwork in which artists take small glass bottles and draw intricate designs or pictures on the inside of the bottles using the tiniest sliver of a brush. Visitors line up for half an hour to get their hands on the food at a famous Shanghainese tourist snack place. We also entered Yu Garden proper, a stone garden that required an admission fee to enter. But it was so worth the 30rmb, because the insides were lovely, all stone walls, classical architecture, and water that flowed from one area into another. The fish were freakishly aggressive! Visitors would sometimes toss crumbs to the fish, whipping them into such a frenzy that they would swim over one another and out of the water in order to get closer to the source of food. 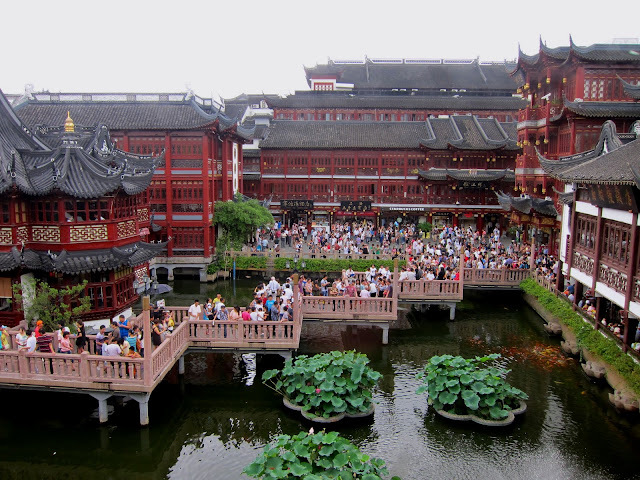 The wonderful thing about Yu Garden proper was that, within its walls, the madness of the city seemed to fade away, replaced by an utterly lovely sense of tranquility, even despite all the tourists wandering around. I could totally see why the Chinese of the past would want such private gardens. It's a place that I would definitely consider revisiting for its calming sights, that's for sure. Pretty pretty, even in spite of the gloomy skies, no? 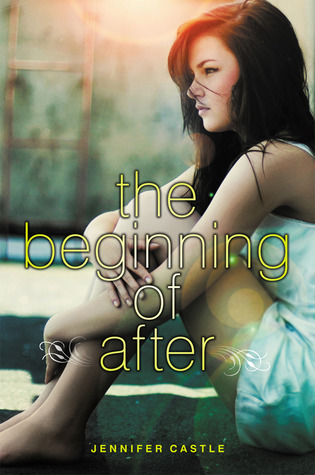 Laurel’s life shatters when she loses her entire family in a car accident. As she struggles to move on while trying to figure out where her grief—or other people’s knowledge of her tragedy—fits in, David, the boy-next-door whose parents were also involved in the same accident, seems to move in and out of her life. Tragedy separates the two with a seemingly uncrossable chasm, and yet maybe they need one another above all in their different, yet mutual, grief. Oh, this book. Sigh. In the beginning I had no interest in reading yet another YA contemporary talking about grieving the death of family members. There’s really, truly only so much I can read about grief plots. But then, inspired by high praise from early reviewers, I was convinced to give THE BEGINNING OF AFTER a shot—only to wish, after a long and drawn-out struggle, that I had just stuck with my original instincts. To give credit where credit is due, I actually quite admire what THE BEGINNING OF AFTER attempted to do, and that is to talk about the less sympathetic aspects of grief. Meaning: When strangers learn of your tragedy and offer to do you favors, do you accept or reject? When classmates start paying more attention to you as a result, how do you react? 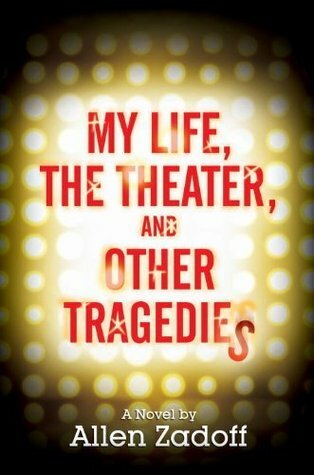 I admire that Jennifer Castle unflinchingly let Laurel explore these unappealing and perhaps even shocking aspects of losing loved ones, because it’s the truth: tragedy is tragedy, but tragedy in some cases is also opportunity, and we’d be willingly blindfolding ourselves if we don’t acknowledge that. However, I forced myself to get to the halfway point before I finally had to knowledge that absolutely nothing relevant to the premise has happened yet. The first half of the book is such a trove of Things to Avoid When Writing Yet Another YA Novel About Grief: popular girls approaching the MC, formerly uninterested guys approaching the MC, former best friend drifting away, etc. You might ask, where’s David? as the very idea of him begins to seem far more interesting than reading about every single minute detail of Laurel’s life. Well, you see, that’s a very good question. Because for the first half of the book, David’s mostly on the other side of the country. How’s that for plot and character development?! Readers, I’m done. Maybe the second half of this overly long book has some merit, but if you’ve given me a 400-plus page book in which approximately 150 of the first 200 pages could be condensed into three chapters, I’m going to hand it write back to you and tell you to do some heavy rethinking in terms of revisions before you ask me to take it seriously. 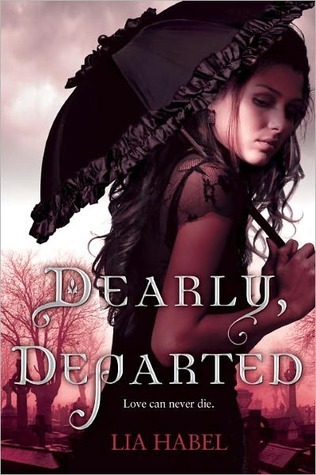 Cover discussion: It's pretty and evocative, in the way that many YA novels about grief are. 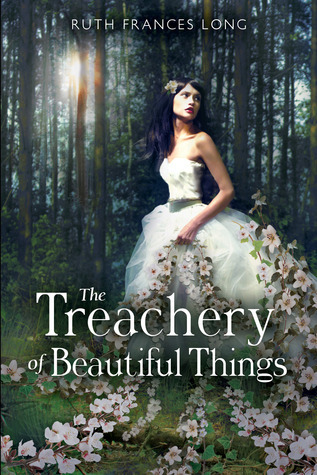 Too bad the contents of the book don't quite live up to the prettiness of the cover. 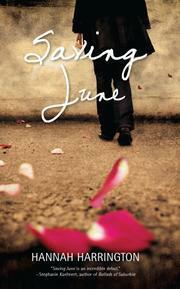 Requested for review through NetGalley. 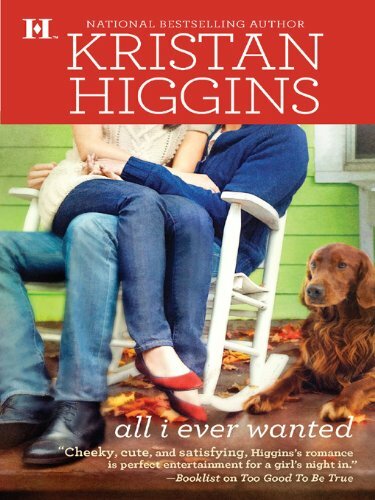 More chick-flicky romantic comedy than the more scandalous affairs I’ve become used to when it comes to romance, Kristan Higgins’ writing will have you smiling, bouncing, and sighing over this straight-up romance with the best of intentions. Grace is a smart and funny woman with a really awkward weaknesses when it comes to talking to and about guys that will make you both pity and empathize with her. Sometimes her stupidity when it comes to guys drove me crazy: you kind of just want to shake her and yell in her face, SNAP OUT OF IT, ALREADY! But when Grace is not making a fool of herself regarding guys, she’s the best, with an endearingly geeky love of Civil War reenactments (have you ever met a character who was into Civil War reenactments? I didn’t think so) and appreciation for teaching history. This makes it totally possible for us to cheer for her happy ending, when she finally gets it…and Callahan is no slacker in the “ideal guy” department, if yanno what I mean. Complete with zany family members and laugh-out-loud dialogue, Kristan Higgins’ books will now be on my radar forevermore when I’m looking for a sweet and funny romance. Highly recommended! Cover discussion: From here on out I exempt myself from discussing covers of mass market paperback romances. The end. Jill MacSweeney thinks that her mother’s way of dealing with her father’s death—adopting a baby—is absurd. After all, you can’t replace a lost loved one with a new person. And someone else’s arrival precedes the baby’s—Mandy, the teen mom. Mandy has had a rough life, and living with the MacSweeneys in the weeks before she gives birth feels like paradise—although knowing that it won’t last definitely puts a damper on it. Can these two hurting teens, coming from such different backgrounds, find a way to accept, and maybe even love, one another as their lives intertwine in hurt, grief, and hope? 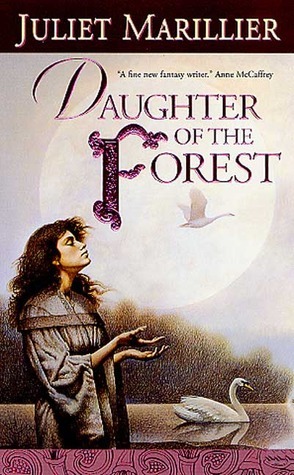 I’m kind of ashamed to admit that, when it comes to Sara Zarr’s novels, I appreciate them as good literary examples, but otherwise don’t often connect with them as much as I feel I should. HOW TO SAVE A LIFE is no exception. 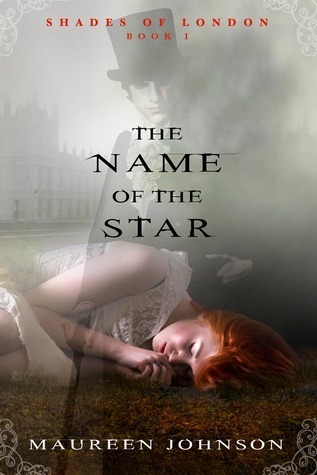 Once again, Sara Zarr elevates the writing of a common yet controversial topic to a literary level, but falls short of the emotional connection I need to consider books and authors my favorites. HOW TO SAVE A LIFE’s strength lies not in a flowing plot, but rather in the inner thoughts of the characters. Thus, this book will work better for you if you like character-driven novels. Just to make it straight, I like strong and well-developed characters as much as anyone, but I admit to being disappointed when character-driven novels come at the expense of real plot. And this book has a lot of inner monologue, but not much plot. Jill and Mandy are fine main characters if you like ‘em passively angsty and full of inner monologue. But really, the plot—or the lack thereof—really drags. Jill goes to school and angst with her faux-friends, and Mandy stays at home and angsts. Fun times. The truth of the matter is that I feel like HOW TO SAVE A LIFE attempts to do so much more than it actually ends up doing. There’s a POC love interest, an unusual family situation, teen pregnancy, abuse, the ending of a relationship…but I never felt the full power or emotions that each one of these deserves. In short, I felt like this book tackles YA clichés without much oomph behind it. Some character-driven novels with little to no plot can make me climb on top of tables and blast-sing its praises (see: Melina Marchetta); HOW TO SAVE A LIFE, however, kind of just made me hum a little, under my breath. I recognize that my appreciation-but-not-love for this book is totally a personal thing, because the majority of people have loved and probably will love this book. Just putting another point of view out there, for any fishies who want to bite. Review copy requested from NetGalley. 1. What was the very first scene, character, predicament, etc. 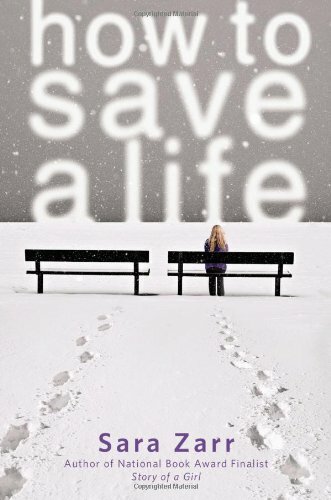 that came to you when you started writing HOW TO SAVE A LIFE? This book actually started with a writing prompt from NAMING THE WORLD, a great book on craft edited by Bret Anthony Johnston. The initial scene, from the prompt, was basically what became the first chapter - Jill waiting, with her mother, for the train that brings a pregnant teenager, Mandy, into their lives. When I went back to that exercise months and months later, I thought, "Hey, this is a story!" I had questions: Why did Jill's mother want to adopt, at her age? What did Jill think about it? Why didn't Mandy want to keep the baby, and what were the circumstances of its conception? The story unfolded from there. 2. Which character in HOW TO SAVE A LIFE do you relate to best? Anyone who knows me will see a lot of Sara in Jill. In my late teens and early twenties, especially, I was very sarcastic and impatient, and intolerant of people, and all of that was a mask for pain and insecurity. I wanted to keep people at a certain distance to avoid any mess or potential loss or abandonment. 3. Would you consider writing in a different fictional genre? What other genres appeal to you as a writer? There are a lot of things I'd like to try, including adult fiction, screenwriting, short fiction. Maybe even something fantastical or historical if I had the right idea. 4. What was the best piece of writing advice you ever received? I'm not great at answering questions about "bests", but here's a good, practical piece of advice I almost always heed: leave off every writing session in the middle of a scene or, even better, the middle of a sentence. That takes care of the momentum or blank page problem that can keep so many of us from getting our work done. I try not to feel too guilty about any pleasure, but I think a lot of people I know would frown upon my love of country radio. Hope you check them out in the next few days! I think this one deserves an AT LONG FREAKING LAST. But the wait will be sooooo worth it. Kristin Cashore is one of those rare authors who get better and better with each book, and I don't care how long she needs to write each of her books, I will wait patiently. 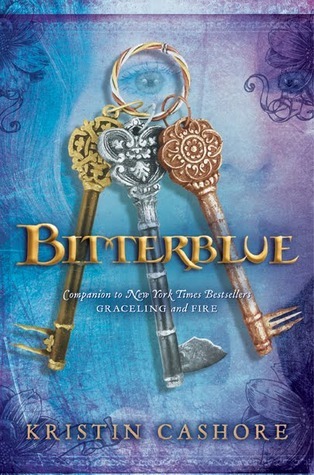 I'm so happy that Bitterblue got such a gorgeous cover too. The style matches the covers for Graceling and Fire, but the keys just... wow! They really pop. Reading this article on Cashore in last week's edition of Publisher's Weekly's Children's Bookshelf email made me all the more excited for May 2012. 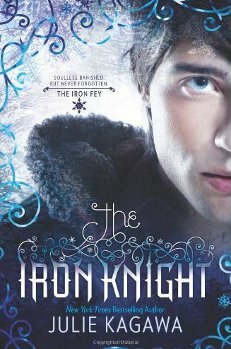 I feel kind of silly for liking this cover, but I do think it's gorgeous and works well for its intended YA audience. The sharpness of the lines and texture complements the model's stare, but then the softness of the colors and lighting elevate the image into a dreamlike state. The textured silhouettes on the edges, and the complex font treatment, is still delicate enough in my opinion, and not overboard: they complement the image well. Very pretty! This book has the same publisher as Divergent, and sources point to the publisher's hope that this book will pull in some of Divergent's audience and do just as well. And from the looks of the synopsis and that cover, I don't see why it couldn't do just that. I LOVE the sci-fi feel of this cover: YA sci-fi is a whole new as yet unexplored world, and I'm excited to see what the future will bring in terms of YA sci-fi. This one is fancy enough to catch the attention of tech-minded male and female readers, while still having an overall theme that unites all the different elements. More indulgence of the pretty! That bride-worthy dress trailing off into strands of beautiful flowers... There is a softness in the costuming, and the flowers, and the lighting, but the woods in the background suggest that something darker may abound, and I want to know what it is. I posted about another version of this cover in my previous Cover Lust post, but then I saw this one and was swept away again. Is this the UK version? Aussie? 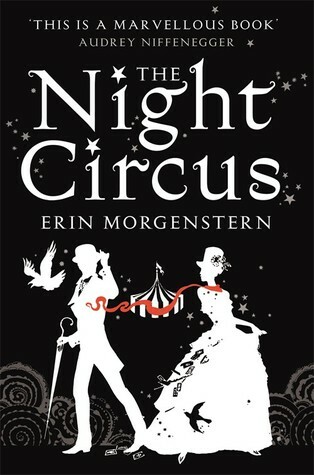 I like how it keeps the style of the US version, in terms of silhouettes and color scheme, but the silhouettes in this one are so gorgeously intricate. Wow. Sigh. 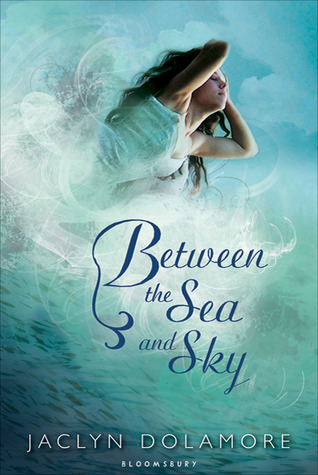 I'm often not a fan of UK covers for YA contemporary novels, with their wishy-washy pastel-colored swirly lines, but when it comes to the fantastical, I think that this style of strong lines and dashes of color works so, so well. 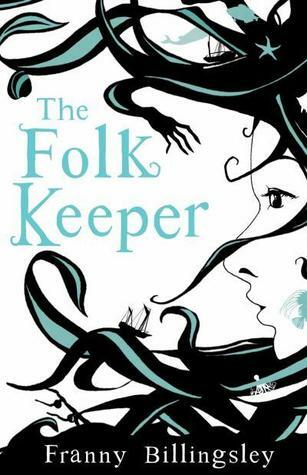 I think this is the UK version of The Folk Keeper...? Whatever country's version it is, it is so much better than the original US cover. Now that was a cover that would have succeeded in keeping both past me and current me away if I didn't now think that Franny Billingsley is an amazing writer. The fact of the matter is that THEY ARE RE-RELEASING SINGING THE DOGSTAR BLUES, WOOHOOOOO. Probably on the heels of the success of Eon and Eona. I'm so glad. This was such a charming sci-fi read (see my review here), in a YA publishing world where quality sci-fi is still scarce. I appreciate this new cover as well. 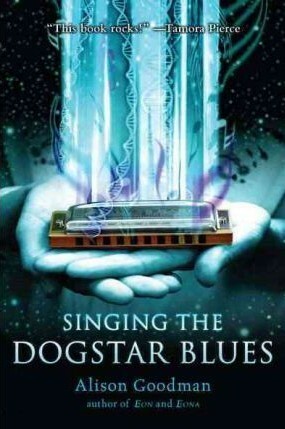 Yes, a harmonica appears in the book. Yes, you should definitely look out for this book. Hopefully this new cover will remind, and thus attract, fans of Tamora Pierce, Megan Whalen Turner... and maybe even Stephenie Meyer? So, which of the above covers do you like the most? Which book are you looking forward to reading the most? 17-year-old Carmen Bianchi is a world-class violinist, with several CDs, Grammys, and international tours under her belt. But the biggest challenge is yet to come, in the form of the Guarneri Competition, the world’s most prestigious young violinists’ competition. Carmen wishes she could be confident of a win, but her biggest competition is Jeremy King: British, handsome, arrogant, astoundingly talented…and more attractive than she ever thought possible. Carmen’s attraction to Jeremy is just one of her many pre-Guarneri problems. Her mother, Diana, is becoming insufferably interfering, and Carmen is also taking pills to alleviate her massive pre-performance anxiety. With so much pressure stacked up against her, can Carmen pull through, or will she end up crashing and burning? I delight—and simultaneously despair—when a book is more than what its synopsis implies. I delight because is better than I expected. I despair because I wouldn’t have picked it up on account of its synopsis had someone not convinced me to read it, and I despair that others might miss out on it for the same reason I almost did. VIRTUOSITY’s synopsis suggests that Carmen’s main conflict will be against her performance anxiety and Jeremy, but the fact is that there is so much more going on in this book. In fact, my favorite part of this read was not even mentioned in the synopsis: Carmen’s struggle with her overbearing mother. Parents are often cast in the adversarial role in adolescent fiction and reality, but the fact of the matter is that it is extremely difficult to write a believably antagonistic parent. That’s where Jessica Martinez succeeds. Carmen’s mother, Diana, is a failed musician, and channels all of her hopes and demands onto Carmen. Their relationship is wonderfully fraught with good intentions and poor actions. I found myself wanting to reach into the book and strangle Diana a little—and that’s how I know when a character is well-written. 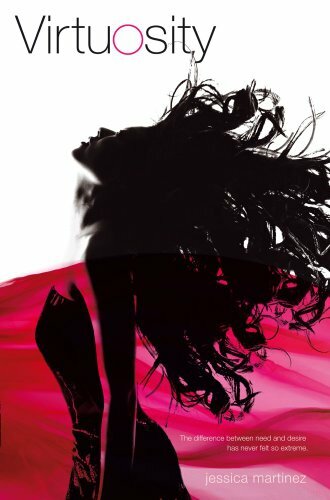 The romance between Carmen and Jeremy is still a bit of a stretch and a YA cliché, but Martinez lets Carmen’s history of crippling performance anxiety unfold in such a way as to wring your heart. VIRTUOSITY is, simply put, a warm contemporary read that should satisfy even the most jaded of readers. Cover discussion: I'm not a big fan. The retro coloring is, I think, overdramatic. In fact, until the publisher pitched it to me, I had no interest in reading this book because of its cover. Which would've been a shame. With the mysterious but mystical Godstone in her belly, Princess Lucero-Elisa has grown up knowing she has a special role to play, but she feels as far from a proper Godstone bearer as possible. Elisa is not beautiful or politically apt like her sister, and when she enters a political marriage with Alejandro, ruler of the neighboring kingdom, she’s immediately in over her head at the political games and shocking revelations surrounding her heritage and destiny. And yet, as Elisa learns more about her new people, she begins to invest in their—and her own—well-being with a strength that she never knew she had in her. 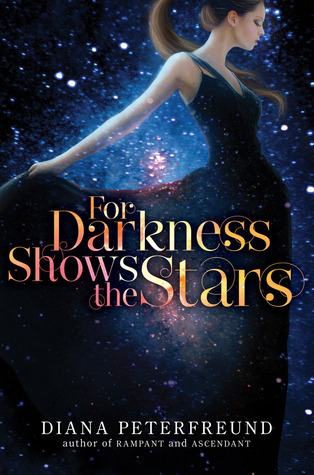 After a rocky start, Rae Carson’s debut novel, THE GIRL OF FIRE AND THORNS, quickly grew into a YA fantasy tour de force, with an admirable complexity and characterization that makes it worthy of consideration from every high fantasy fan. Admittedly, approximately the first third of THE GIRL OF FIRE AND THORNS was difficult for me to get into. I found it hard to connect with Elisa and her predicament of being the plain and passive princess who is supposed to have a big role. 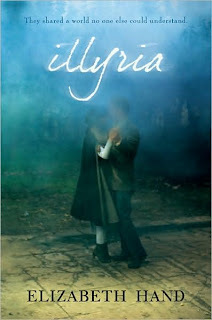 The more I read, however, the more I respected—and then eventually loved—Elisa, her world, and the story. 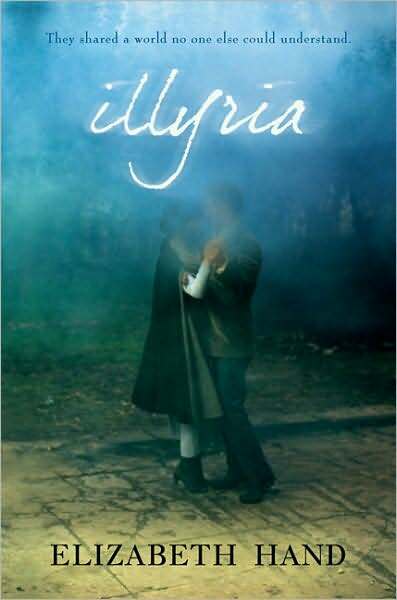 Elisa turned out to be a supremely capable protagonist of the highest caliber, who seemed to blossom with every page I eagerly absorbed. Her lifetime of dullness and dissatisfaction is what gives her clarity in her new role as a princess and Godstone-bearer that everyone looks to for inspiration and guidance. This is one heroine whose future, beyond the confines of this particular story, is quite clear: she will make a remarkable queen, mother, and wife, even if, happily, the first book in this trilogy leaves her future appealingly wide open. At first I wasn’t quite convinced that Carson’s fantastical world was on par with those of fantasy masters such as Tamora Pierce and Robin McKinley, but as THE GIRL OF FIRE AND THORNS unfolded, I was happily proven wrong. 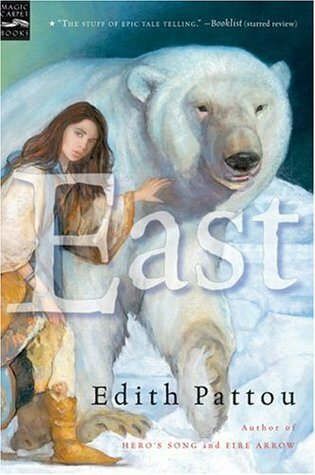 Elisa’s world is every bit as complex, logical, and entwined in tradition and lore as a fantasy world should be. As Elisa extends her horizons and understandings, so does the scope of the story and the fictional world. 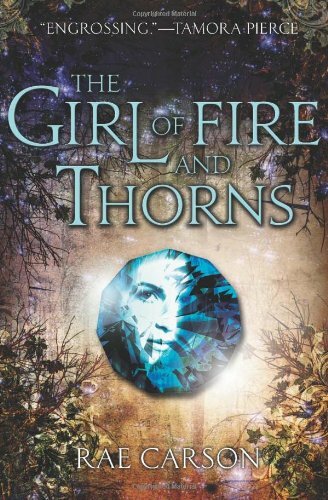 THE GIRL OF FIRE AND THORNS is one of those rare few YA speculative fiction books published nowadays that proves that writing and world-building can still be complex and intriguing without being completely “overwhelmed” by an underwhelming romantic plotline. I wasn’t sure at the beginning, but Rae Carson fully won me over, and I now eagerly await the next installment in Elisa’s adventures! 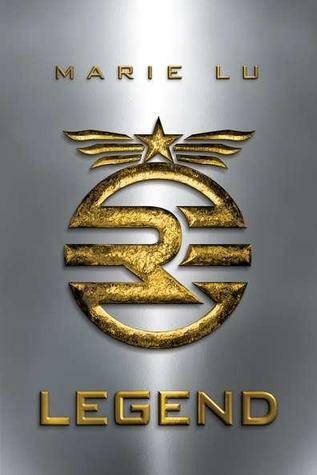 Cover discussion: I wasn't a fan of the original cover, and I don't really feel that this is much better. There's something... contrived about both this cover and the old one: it doesn't have the effortlessness of fantasy covers I've liked in the past. When her father dies, it is up to Charlotte Miller to carry the dying Miller tradition of running the Stirwaters Mill, which many believe is cursed. Things repaired one day fall apart again the next, and mysterious accidents befall workers. Practically minded Charlotte refuses to court such superstitious notions, but with the arrival of a pushy uncle and the incidents that thwart her attempts to ward off those who pressure her for money owed, she is forced to become involved in things beyond her understanding. As Charlotte delves deeper in order to unravel the mystery of the curse on Stirwaters, little does she realize how much is at stake. 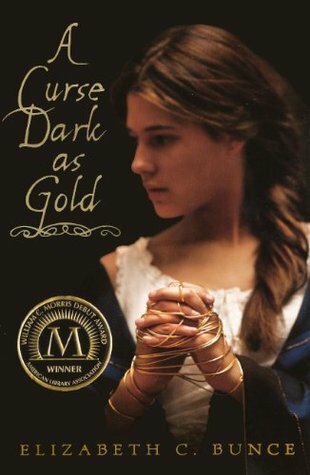 I always look forward to fairy tale retellings, and with this one winning the Morris Award for Best Debut YA, I eagerly picked up A CURSE DARK AS GOLD after two years of having this in my TBR pile. Unfortunately, it was pretty much an all-around disappointment, and in rather unexpected ways: for some reason, the way the story was written, and the way it unfolded, really frustrated and repelled me. A CURSE DARK AS GOLD theoretically had all the elements I like in a story: a unique spin on a fairy tale, a strong female protagonist, and a compelling plot with only the subtly appreciated undertones of romance. However, I wasn’t far into the book before the way the story was playing out began to irk me. Charlotte’s vehement insistence that there was no such thing as a curse soon characterized her as blindly stubborn to me: I like my fair share of headstrong and independent females, but not when they are stubborn in a maddeningly close-minded way. Hints about the malignance of the curse were dropped in the book from here to kingdom come, but it was not until the last fifth of the book that things began to be explained, and I can’t help but think that all stories that are carried forward by the “mysterious and pervasive influence” of a “shocking secret” are kind of gimmicky. The absolute lack of forward progression in the plot regarding the understanding of Stirwaters, the Miller history, and the curse made me so frustrated that I was tempted to put the book down forever and not bother to find out how it ended. As Charlotte insisted on pulling away from her loved ones in a misguided effort to protect everyone and shoulder the burden herself, I just couldn’t bring myself to empathize with her decisions. There’s a difference between being admirably independent and dumbly mule-headed, and I’m afraid that Charlotte fell on the wrong side of that line. All in all, A CURSE DARK AS GOLD was actually too light on the Rumpelstiltskin retellings, rendering itself more just a supposedly spooky and tense story of desperation and redemption that turned out not to be my thing, mainly because of my dislike of the main character for her mule-headedness and the way the plot unfolded. These criticisms I have, of course, are far more subjective than my usual ones, and so if you think that these two points won’t bother you as much as they did me, then I encourage you to give this award-winning book a try. Many important people obviously thought it was a great work, so there is the likelihood that I am in the minority on this one. Cover discussion: Simple, but the careful attention to focus--the image is sharpest on the threads in her hands--makes this cover an arresting one for me. Supernaturally Blog Tour: Poltergeist Dossier! 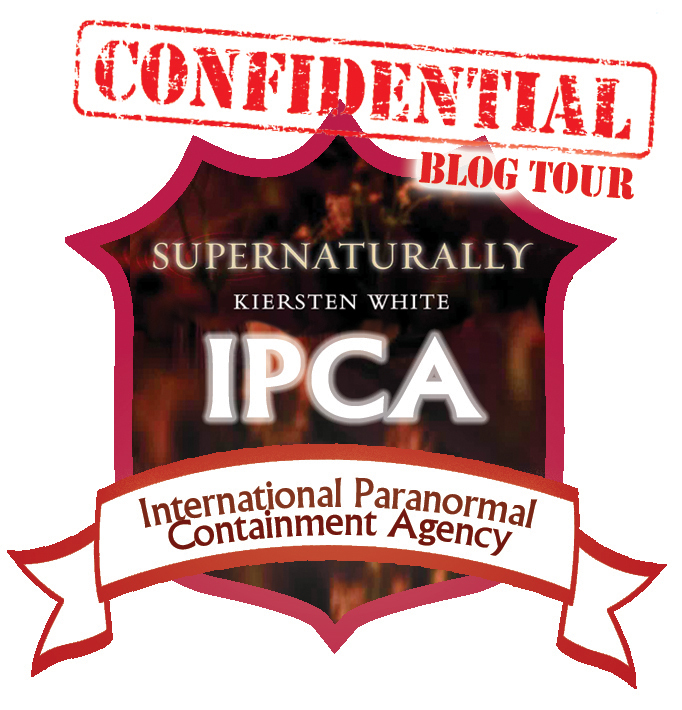 Today I'm part of the supercool blog tour put together by Big Honcho Media for Supernaturally, the second book in Kiersten White's fun and bestselling paranormal series! This blog tour is different and cool because each stop features an IPCA Dossier and artist rendering of a different Paranormal creature from Kiersten/Evie herself! Appearance: Varies, depending on the poltergeist and its manifestations. Most often gruesome, intended to upset viewers. Myths: Too many to list. Most true, mainly because poltergeist hauntings change from situation to situation. Facts: Poltergeists are the lingering spirits of humans (occasionally human corruptions, such as werewolves or vampires) that seek vengeance. Through manipulation of visual, auditory, and sensory elements they create frightening situations. The method for getting rid of poltergeists depends on who the poltergeist was before dying. 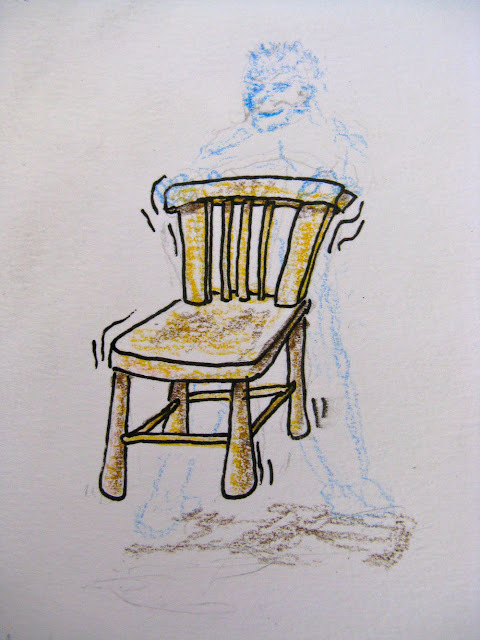 Because it takes enormous amounts of energy to stay on in poltergeist forms, the most effective way to get rid of a poltergeist infestation is to remove the motivation, whether through religious means that the poltergeist is familiar with, or by addressing the reasons the poltergeist has not moved on. Dangers: Though poltergeists cannot physically harm people, the fear induced by the various hallucinations can cause heart palpitations, nightmares, stress, and digestion problems. A team effort is always recommended to divide the poltergeist’s attention. I watched Poltergeist when I was nine. Don’t tell Raquel; Lish let me watch it with her. So when I went on my first poltergeist mission I was terrified, waiting for trees to reach in the window and rip me out or whatever. Imagine my disappointment when it turns out that all poltergeists are is glamour. Everyone else was freaking out about the enormous monster centipedes crawling out of the floor, but I could see right through them. Really it was just some seriously grouchy old dude floating up in the corner laughing his head off. When I wasn’t scared he got annoyed, so I told him what I thought of his theatrics, and he got so mad that he lost his hold on this world and disappeared. Yet another paranormal occurrence that was nothing but a disappointment. 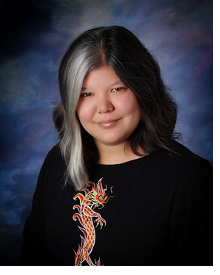 Kiersten White is the NYT Bestselling author of Paranormalcy. She has one tall husband and two small children and lives near the ocean, where her life is perfectly normal. 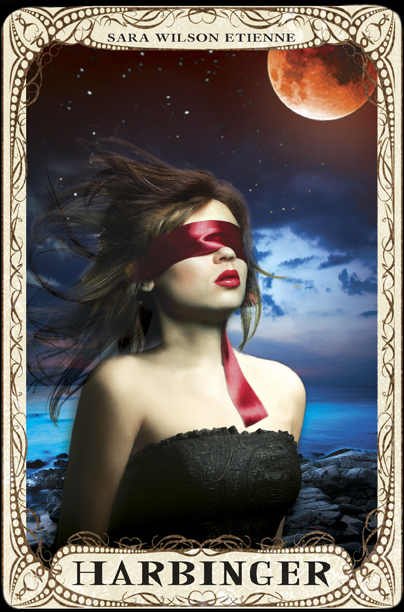 This abundance of normal led her to a fascination with all things paranormal, including but not limited to vampires, faeries, and pop culture. 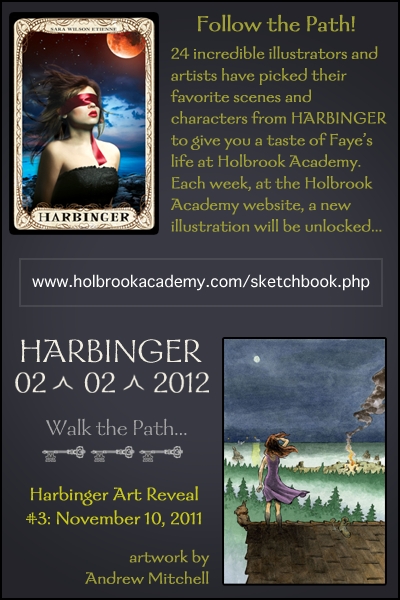 Visit her at http://kierstenwhite.com. 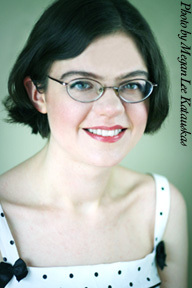 Kiersten is now on tour with a slew of other cool authors for the Dark Days of Supernatural tour around the US. Check out their tour schedule to see if they're coming near you later this month! I just found this, and it was too good not to post. Basically it sounds like a badass combination of Divergent, Ender's Game, and The Hunger Games, okay?? Besides, YA is well overdue for fascinating sci-fi, and this one sounds totally promisinwg. Plus that cover rocks. 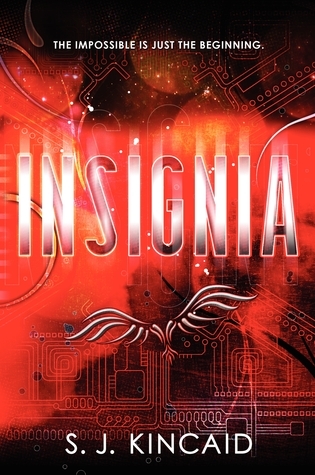 Insignia will be published in hardcover by Katherine Tegen Books in July 2012. I'm going to admit something that probably will make some people angry: I am kind of biased when it comes to deciding which books to review or read, based on their publisher. I give much more consideration to books published by the three or four biggest publishing companies, and rarely, if ever anymore, accept for review books published by smaller publishing houses or via self-publication. I'm conflicted about this decision process of mine. On the one hand, there has to be some way for me to sort through the plethora of books that are published each year: I can't possibly read all the thousands of books published annually, and so I have to narrow my pool somehow, and the ways in which I do this may not be the fairest, or the best way. But it is a way--it is my way. And after my first year of blogging, experience taught me that the books I enjoyed the most were the ones that were published by the major publishing houses. In a way, I think that my "sorting system" makes sense, because the major publishing houses are the ones that have the money to snap up those rare but precious high-quality books that I love: the people who work at those houses are the ones who can recognize quality (and, okay, yes, financial success as well, but since my opinion on most YA bestsellers doesn't match that of the majority, I'll just be talking about my own reading preferences here), and who are in a position where they have the luxury of being able to choose the best of the best, the cream of the crop. Naturally, whether we readers, authors, and publishers wish to admit it or not, not everyone has equal amounts of talent, and not every book is equal in quality, which is extremely subjective anyway. So the major publishing houses get first pick of the potentially critically and/or commercially successful manuscripts (unfortunately those two elements are not mutually inclusive, sigh) and have the capacity to ensure that those chosen manuscripts receive the largest readership; smaller publishing houses get to choose from the remaining pool, and so on. On the other hand, I do still feel bad that, in a way, I am judging books by elements other than simply the quality of the story and writing, by leaving it up to the (mostly) capable hands of professionals to do the "pre-selection" for me. For the most part, this decision of mine has worked well for me. Exceptions do occur: I have enjoyed books published by smaller houses in the past, and authors have opted out of the traditional publishing track for a successful attempt at self-publication and self-promotion. However, the writer in me doesn't feel too great about the fact that I cannot give each and every author's each and every book an equal chance to be read by me, because of the basic fact that I do not have infinite amounts of time, energy, or patience; I barely even have enough energy left over after work to keep up my blog. Nowadays, more small and independent publishing houses are coming out with their own YA imprints, but I have yet to be motivated to pick up any of their books. (I admit that one small publishing house nearly gets me with their absolutely breathtaking covers every time, but I have resisted, which turned out to be a good decision when I had a spare moment in a bookstore one day, picked up one of the house's books, and read the first chapter.) I have just found most of my experiences with independently published books to be a disappointment: those publishing houses, I think, either cater to a very specific audience, or they seek to ride the wave of YA's everchanging genre successes. Neither of which appeal to me very much. I admit that I am the worst publicist because I cannot find it in me to promote something that I don't strongly believe in--but, of course, when I do find that special and uncommon book, I will talk about it to all those whom I feel share my reading tastes, and who I want to share a good book with. I've rambled on for long enough about a potentially divisive topic in a manner that I can't even tell is comprehendible or not. I'd love to hear what you think. Do you find yourself "biased" towards a particular publishing house, or group of publishing houses? How do you sort through all the review requests that you get, or the books available for you to read? How do you feel about smaller publishing houses, or self-publishing? If you're an author and have experience either with the major or smaller publishing houses, what insights would you like to share?